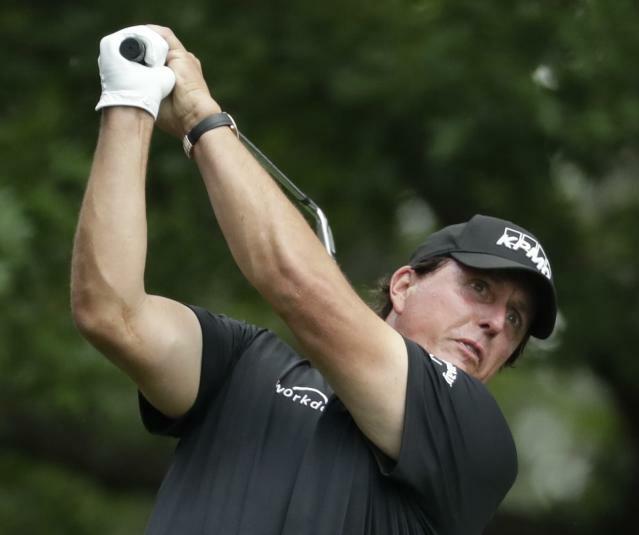 AUGUSTA, Ga. (AP) — Phil Mickelson brought his best stuff to the Masters, at least the drive down Magnolia Lane. Mickelson was paired Saturday was Matt Kuchar, a good friend and one of the few players for whom Mickelson never has an answer during their banter. Lefty posted to Twitter his drive into Augusta National. He mixed his excitement with this barb at Kuchar. "Obviously we're not going to have any side action today because I'd probably see like .06% if I did win," Mickelson said. That was a slight exaggeration. Kuchar initially paid his local caddie in Mexico just under 0.4% — $5,000 from his $1,296,000 earnings. Kuchar later paid him $50,000. Kuchar usually gets the better side of Mickelson. One of those occasions was at Augusta National, when Mickelson wore Masters green, alligator skin shoes with a matching belt. Kuchar, never known to be at that sartorial level, questioned him about his wardrobe. "You've got to win three green jackets to wear these," Mickelson told him. "Well," Kuchar replied, "let's just hope I only win two." 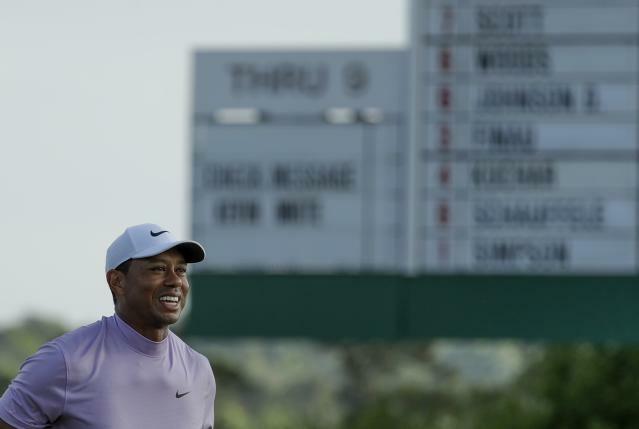 Tiger Woods won the first of his four Masters in 1997 playing in the final group with Costantino Rocca. Francesco Molinari was watching from home in Italy, he just doesn't remember how long he stayed with it. Woods had a nine-shot lead and wound up winning by 12. 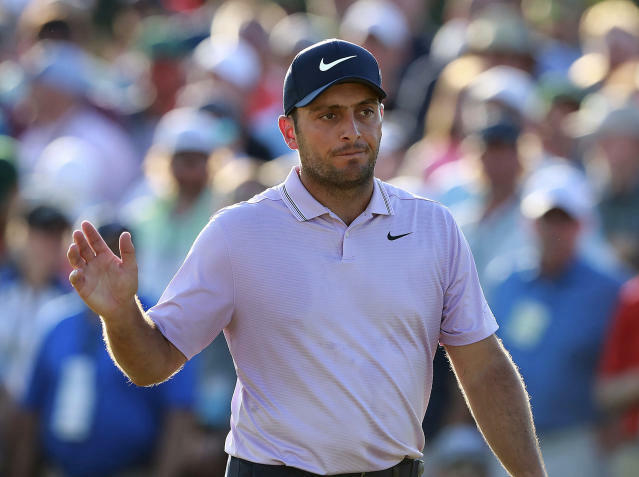 "I was in front of a TV, for sure," Molinari said after building a two-shot lead. "I can't remember, to be honest, if I stayed up until the end because we all knew how it was going to end. I was very proud to see Costantino playing in the last group with him." Rocca later that year beat Woods in singles in the Ryder Cup at Valderrama. For the first time, the Masters champion will get just more than $2 million in addition to a green jacket. The prize fund for the Masters was increased by $500,000 to $11.5 million. The winner will receive $2,070,000, with the runner-up getting $1,242,000. That's still short of the $12 million prize money at the U.S. Open last year. The Players Championship last month had a $12.5 million purse, with the winner getting $2.25 million. From an inflation standpoint, Jack Nicklaus made $902,359 from his 45 appearances, including six green jackets. 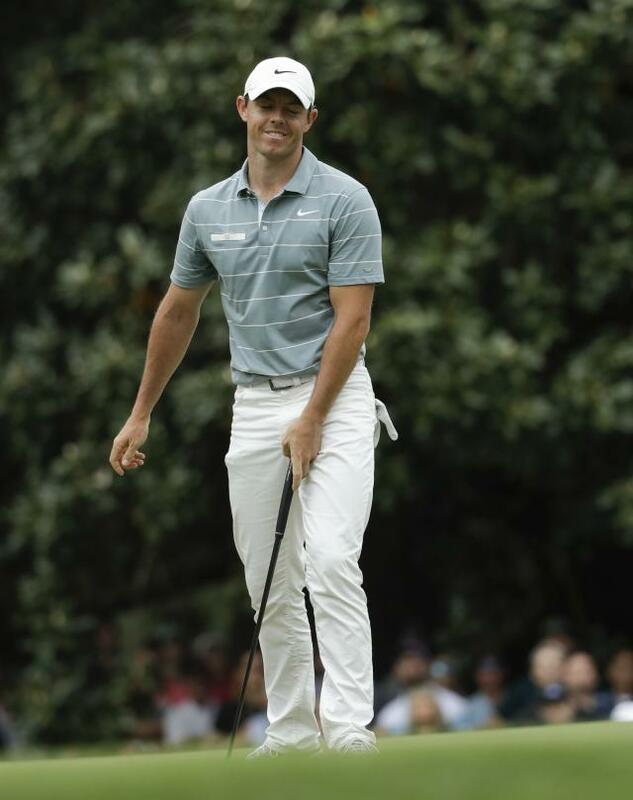 The career Grand Slam was a long shot for Rory McIlroy going into the weekend at the Masters. Now it would require nothing short of a record. On a soft day for scoring — a record three players at 64 — the best McIlroy could manage was a 71. He was 12 shots behind. No one has ever come from more than eight shots behind in the final round to win a green jacket. The largest comeback in any major is 10 shots by Paul Lawrie in the 1999 British Open. That was at Carnoustie, and Jean Van de Velde is not in the field this week. "I just tried to play a good round of golf," McIlroy said. "It wasn't about chasing, it wasn't about doing anything, it was just about going out there and executing the shots that I needed to. And I felt for the most part today that I did maybe a little bit better than the previous two days. But I just haven't been getting much out of my round. I've just been making too many mistakes." McIlroy has 11 birdies and two eagles over three rounds. He also has 14 bogeys. This was his fifth try at winning the Masters when the career Grand Slam was in play. The last three players to complete the Grand Slam all did it within three years of getting the third leg. Eddie Pepperell is experiencing a little bit of everything in his Masters debut, including a Saturday morning tee time with Jeff Knox. Knox is an Augusta National member, regarded as the club's best player who often goes out as a marker when an odd-number of players make the cut. Pepperell was at the bottom of the 65 players. And it didn't take long for him to realize he wasn't playing with some weekend hacker. 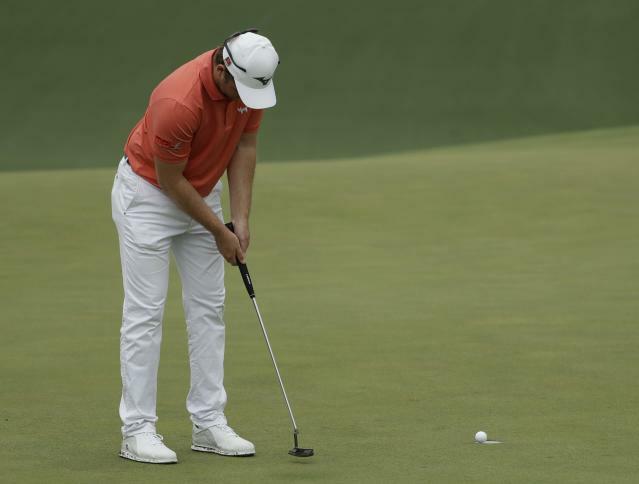 "I wasn't sure I was playing with him until I saw him on the range hitting balls," Pepperell said. "And then I saw him swinging it and I thought, 'I'm in trouble.' Yeah, he has a really nice swing. The course is probably a little too long for him at this point, but man, he's a good player and his short game was brilliant. And he was nice. Dare I say it: He's the friendliest professional that I ever played with." Knox outplayed Rory McIlroy as a starter a few years ago, and Pepperell is well aware of that. He says Knox shot a 74. Pepperell shot 72. "I did beat him, so you can actually report that," he said. "I did beat him, which makes me better than Rory McIlroy, apparently."